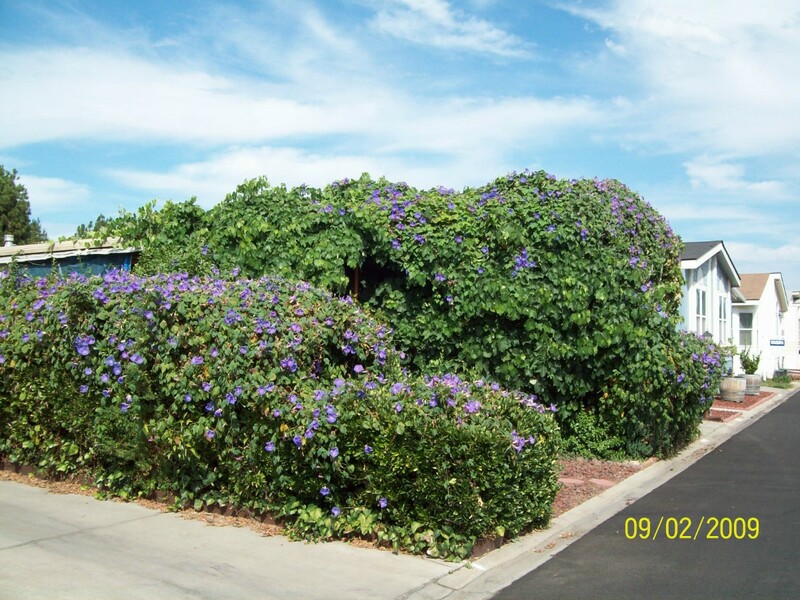 As you can see, morning glories can be extremely invasive. There is a mobile home under the second mound of greenery. We made the mistake of planting the "seedless" morning glory from some branches I got from a neighbor. It has even sent runners under my trailer. The only way I can see to get rid of something like this is pull it ALL out and use lots of RoundUp on anything else that comes up. Oh my goodness! It really has taken off! It is so hard to get rid of. I like them on my fence though. Here is a link I found on how to do it. Blessings and I can't believe how they have taken over this mobile home! Wow! So sorry you have to deal with this!